Super adorable combination of double stuffed golden oreos, hand dipped and decorated for many occassions. 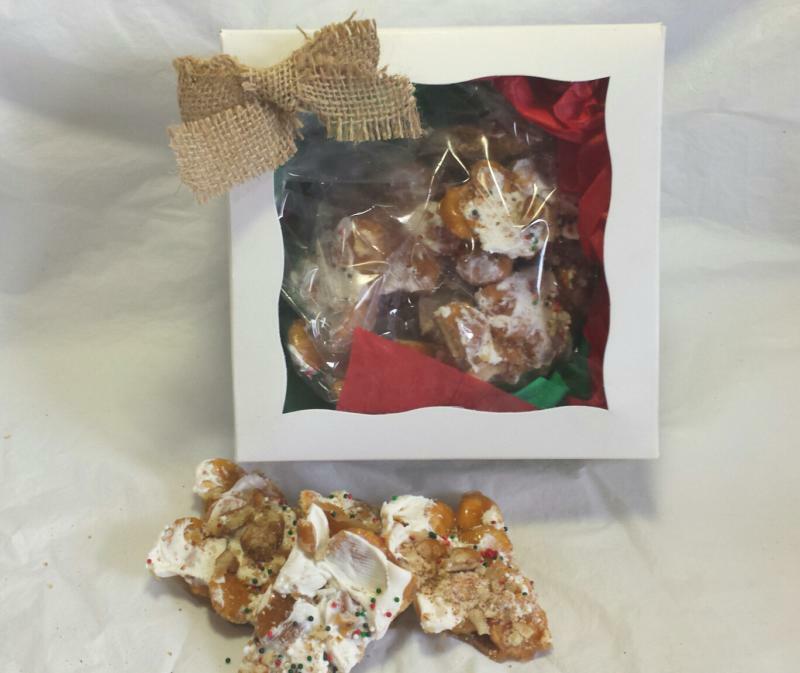 Each is individually wrapped in cello bag and tied with matching ribbon. 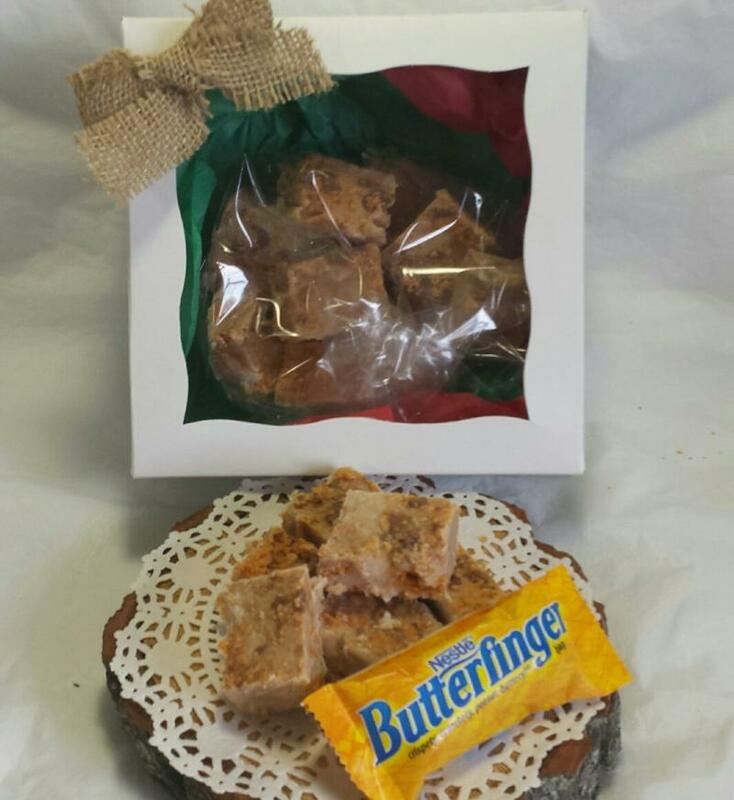 Great for birthday's, showers, anniversaries, any celebrations you may have. ***Can be dipped in milk chocolate or white chocolate. Along with many colors available that are vanilla flavored. 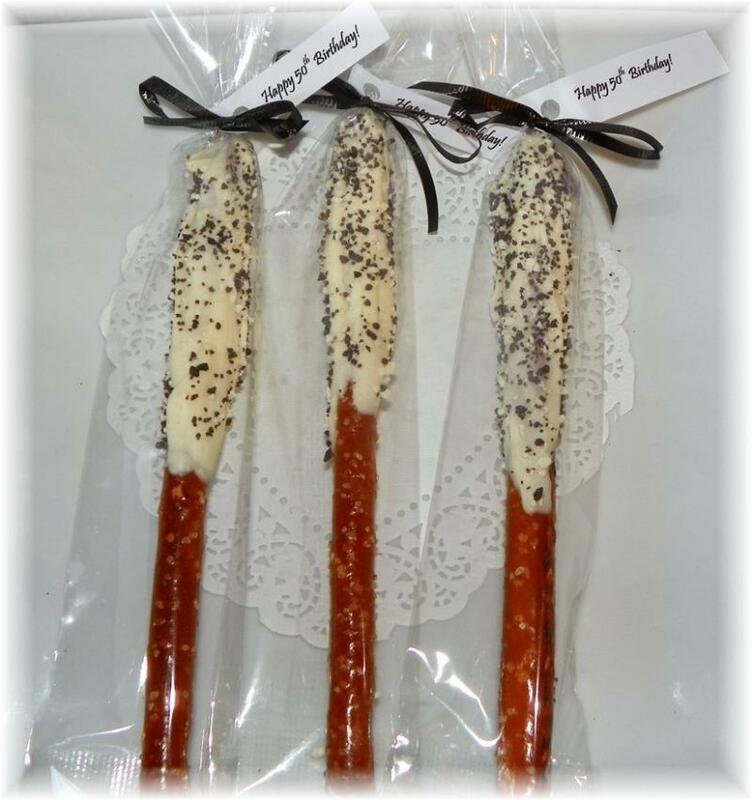 Celebrate that big birthday with fun chocolate dipped pretzels and custom handmade tags. Can be made for 30th, 40th, 50th, 60th, etc. birthday. Just be sure to specify when ordering. White chocolate sprinkles with black/white sprinkles. 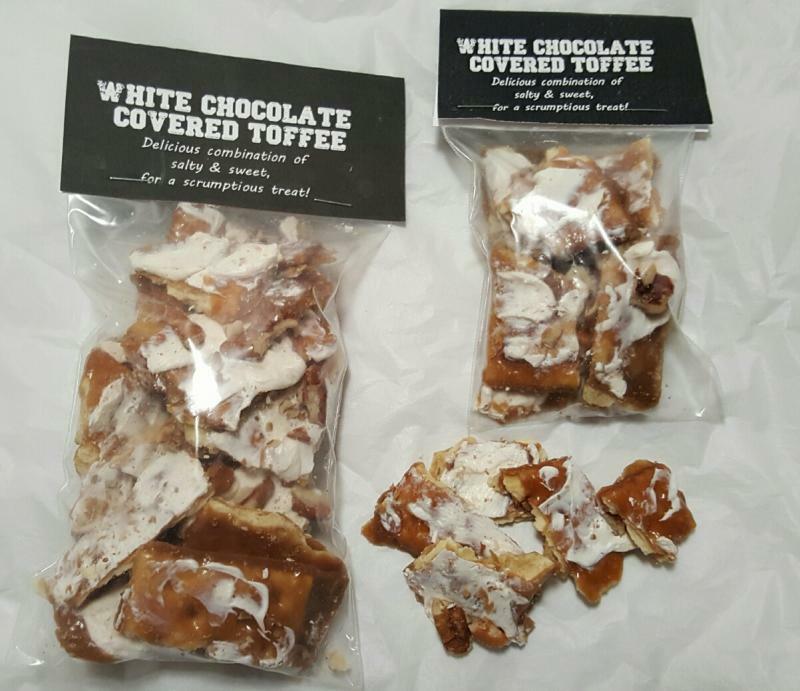 Individually wrapped favors. 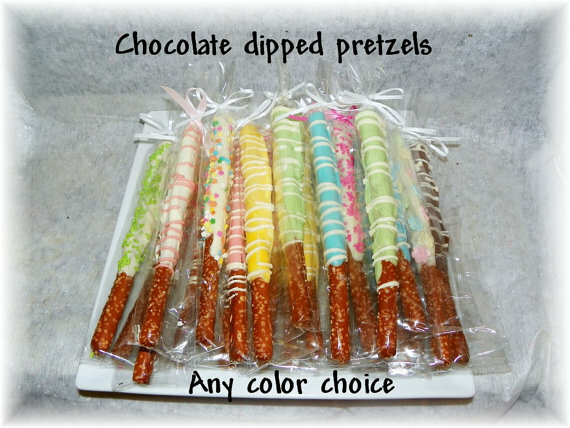 **Want a different color ribbon or sprinkles, just let us know. 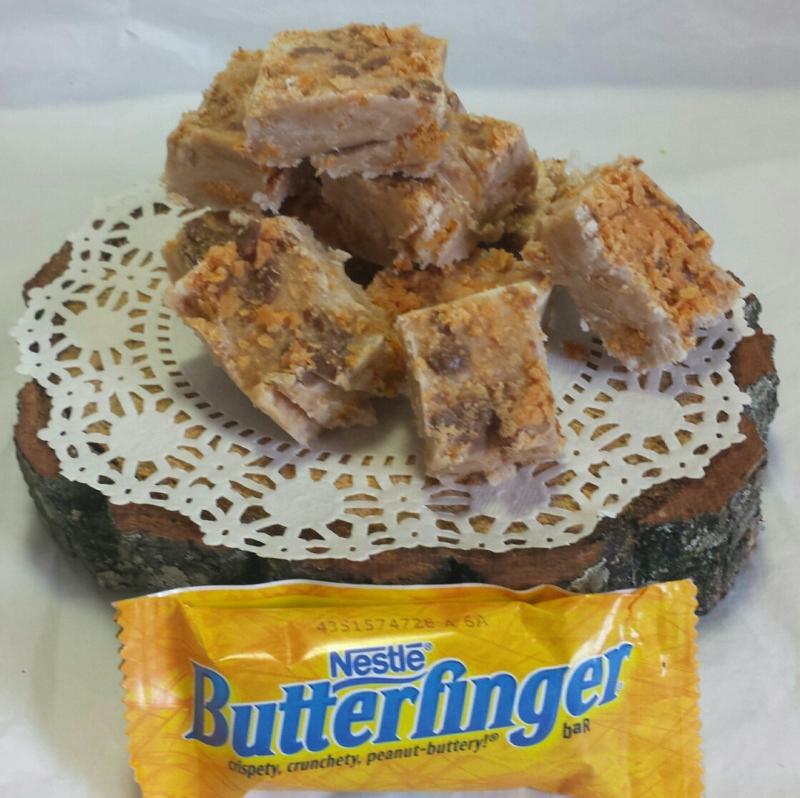 Butterfinger Fudge Gift Box 1/2 lb.